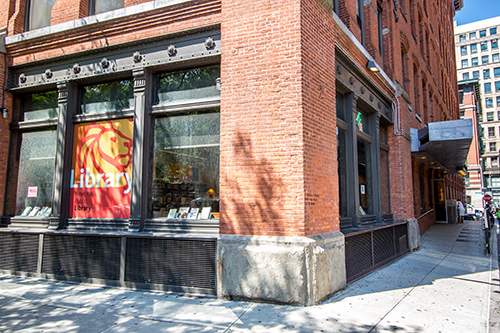 The New York Public Library’s Mulberry Street Branch Library is located at the site of a former chocolate factory in the SoHo neighborhood of Manhattan, historically known as the Cast Iron District. 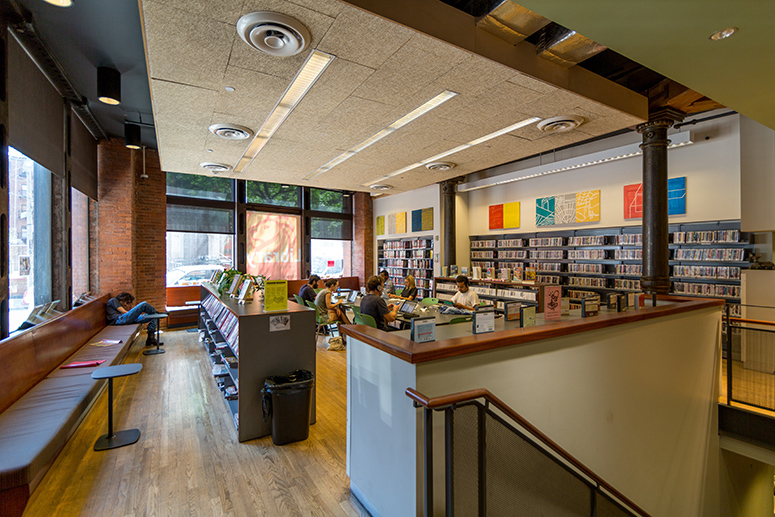 The branch entrance is located at ground level, and two other floors are located below ground. A prominent staircase connects the spaces and brings natural light downstairs. Designed with respect to the building’s infrastructure, history, and context, new materials, such as wood and metal, provide a dynamic contrast to the existing fabric of brick, cast iron, and heavy timber beams.